Discussion in 'Digital & Modeling Gear' started by greiswig, Feb 6, 2012. The discussion of Jay's collaborative design with Atomic Amps, along with some recent experiences of mine, got me thinking. I'm a bit hesitant to even ask the question posed in the subject header, because I can practically hear eyes (and not just Jay's) rolling in sockets already. WARNING: Long, rambling post ahead. My studio monitors are a decade-old pair of JBL LSR28p's. At the time, these sounded substantially better and smoother than the Mackie's or Genelecs that they were competing with price-wise. They still sound good to my ears: if I put music through them, I can hear everything. And it sounds... Good. Natural. Not hyped. Bass is strong but not boomy. Highs are not shrill. They sound musical. A recent post at the Fractal forum got me onto the idea of making corrective IR&#8217;s for speakers. The process as outlined uses a Behringer (!) measurement mic, a readily-available &#8220;correction file&#8221; .cal for it, and Room EQ Wizard shareware. The Behringer mic doesn&#8217;t look like a real measurement mic, and I hesitate to buy anything by that company, but it uses a pretty decent Panasonic electret capsule so it should be in the ballpark. What have I got to lose for the effort but $40 for the microphone? So for a couple of hours this weekend, I did two different experiments: one was to make a corrective IR for the SLS 1890 speakers I would like to use with the AxeFX as my bass-limited stereo monitors or as backline in small gigs. These are very small cabinets with a ribbon tweeter and an 8&#8221; woofer, all in a sealed box. There is a very clear bump in the low mids around 300-500Hz in these, and they have very little real low-end. My first crack at making a corrective IR made them sound slightly better&#8230;a lot of the low-mid mud was gone, but they now sound thin and with a distinct &#8220;caw&#8221; nasalness to them. They don&#8217;t sound as good with that as they do with the corrective graphic EQ curve I gave them. I have not compared these speakers side by side with my JBL monitors, though&#8230;or even in the same room. So my next step was to go where my JBL&#8217;s are and measure them. I&#8217;m attaching a graphic of what I measured with the mic placed about 40cm away, running only one of the pair for the measurement. This doesn&#8217;t look flat to me, but then I probably don&#8217;t know how to really read a measurement like this. In particular, the phase aspect of the measurement throws me. This measurement looks quite a bit smoother than the measurement I took of the SLS speaker, though. But if I had to describe what I see (open to being corrected), they look a bit scooped between 800-1200Hz, and like they have a fair amount of low end relative to mids in particular. I don&#8217;t know how to make REW draw a &#8220;best fit&#8221; curve to the measurement, but if I had to guess I&#8217;d say that there is around 10db of scoop in that midrange region relative to bass (80-200Hz) and to treble (5k-8kHz). It doesn&#8217;t look flat. But they sound good. And I&#8217;m betting if I put a 10db boost in that midrange region, they wouldn&#8217;t sound as good to my ears. So it got me thinking about why flat is the goal. Really, what I&#8217;m after is to get a system (my studio monitors) where I tweak my patches which sonically resembles a really good PA like some of the venues I play. Also, I would like the monitors or backline I use to sound similar&#8230;in other words, that I&#8217;d have a way of having the same patch sound the same across all three systems so that I don&#8217;t fight tone and can focus on making music. But if most PA&#8217;s aren&#8217;t set up to be flat because flat &#8220;doesn&#8217;t sound very good&#8221; (does it?) and the house curve features scooped mids, and I tweak patches to sound good on a perfectly flat system, I&#8217;d expect that my patches would sound very bass and treble heavy&#8230;scooped in the mids. Smoothness I can understand&#8230;if you have a speaker that has lots of peaks and dips in response, I know it ends up being nearly impossible to make it sound good because you can&#8217;t fine-tune the EQ to do so. · Smooth speakers &#8211; ones for which corrective EQ is fairly easy to do when it is needed to compensate for changes in the room you&#8217;re working in. Tweaking global EQ at a gig is fine, tweaking individual patches is not. · Loud speakers &#8211; because especially for those of us using them as backline, we like that &#8220;shake the leg of my pants&#8221; feel that we get out of a real guitar cabinet, and want that out of our modeler speaker, too. · Speakers that represent well what is coming out of the PA &#8211; so that you know what everybody else is hearing. So&#8230;thoughts? Am I thinking wrong? Does flat sound great to everybody but me? Or am I measuring wrong or interpreting the measurement wrong? There were definitely some issues I was having that made me nervous about the measurement process, such as not being able to get the speakers to &#8220;pink&#8221; very loudly without clipping the input device according to REW. 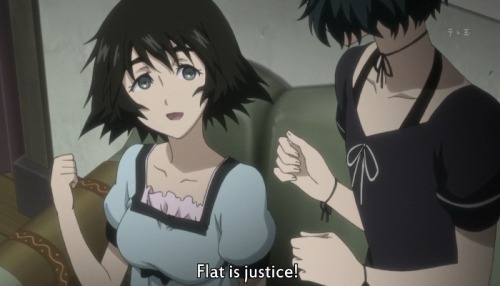 But I'm also very interested in people's take on whether flat really sounds good or not, and whether it translates well to "typical" house systems. Thanks! yea, in a perfect world, especially with modeling gear, a truly "flat" system would be great. however, if your system is flat, and the pa at the venue is not, then your patches won't sound the same. HOWEVER, if you dial up a killer sound out of your tube amp in a sonically great room, then take it to the same club with "not perfectly flat" pa, well same result. i think the FRFR concept gets pumped up as the ideal setup but in reality it is almost impossible to achieve, especially in multiple venues. Don't flame me yet, i'm a FRFR guy!! but i've learned that my FRFR system doesn't equal yours, or the club, etc. so i don't expect my patches to sound the same at a venue as they do in my studio. HOWEVER, i think it's as consistent of an option available that requires the least amount of dialing in for different rooms. so is 100% flat ideal, yea, but not realistic. · Smooth speakers  ones for which corrective EQ is fairly easy to do when it is needed to compensate for changes in the room youre working in. Tweaking global EQ at a gig is fine, tweaking individual patches is not. · Loud speakers  because especially for those of us using them as backline, we like that shake the leg of my pants feel that we get out of a real guitar cabinet, and want that out of our modeler speaker, too. · Speakers that represent well what is coming out of the PA  so that you know what everybody else is hearing. I don't understand why people have such a problem with this concept. Any corrections to the sound you are getting, matching the PA, room etc. (all of which is quite pointless IMO) need to be achieved at the sound source. In this case that is the modeller. To hear those corrections accurately you need a monitor that is as accurate as possible within it's operating envelope. That's it. When using a guitar amp and guitar speaker, the speaker is part of the sound creating system and part of any tweaking process. When using a modeller the ideal situation is for the speaker to be outside the tweaking process so that you can re-create as well as possible all those different amps available to you. Frequency plots like the one above are utterly useless by the way. Let's be clear - no speaker is 'FLAT'. But some speakers are definitely better at representing what's put into them. The frequency response being only a part of that equation. The hi-end studio guys want monitors that 'translate'. That basically means that there are no nasty surprises when they listen to tracks on other speakers. That really is the best you can hope for. The better your FRFR monitor the better your patches will 'translate' to other systems - PA, recording etc. IMO/IME, "flat" is not so much about being "good" as it is about providing control and consistency. A classic example is your typical guitar rig. Particularly when distorted, the treble coming out of the amp is ice-picky but the high freq roll-off of the speaker makes it okay. There's also the consistency factor. When going from headphones to nearfields to stage-level systems, it's definitely preferable to have those systems' response resemble one another. While you might find different systems with similar non-FR response, the better bet is to seek out flatter playback devices. Finally, keep in mind that there's more to linearity than frequency response, most notably phase. A "flat" speaker with phase issues isn't going to sound quite right. It's academic, you can't get perfectly flat response. You'd have to factor out the entire signal chain including the rooms being recorded in and being played back in. Do you play or listen in an anechoic chamber? Thought not. The best you can hope for is a pleasing and balanced sound within a specific space. Most club PA's are extremely hyped and placed in rooms that have huge amounts of echo/reverb from their shiny walls and are expecting to use humans as bass traps. It can still sound magnificent. The whole FRFR thing is really for two sets of people, firstly HiFi enthusiasts, cork sniffers who believe in ******** like weighting their CD players and buying monster cables, and secondly laboratories and research. In the real world people play, track and mix on extremely non-flat response kit, in fact they like it that way. We've progressed beyond the stage where we thought that purity of signal was everything, because we were fighting with analog kit adding it's hiss to all of our classical recordings. Now in fact it's viewed as sounding sterile, "digital" as a pejorative. Old sound engineers would be rolling in their graves, but the truth of the matter is that we like colored sound when dealing with music, we know this with guitars already because that's the whole purpose of the guitar amplifier and guitar cabs after all, to sound cool rather than neutral. Once you lose sight of that, of the purpose of playing guitar and making music in the first place i.e. to sound cool, well then, you've ceased to be a musician or guitarist or rockstar and become a technician, a knob twiddler. It's too easy to get lost in technique and lose sight of the music. So my next step was to go where my JBLs are and measure them. "Measure them" using what equipment and excitation signal? That's very important. Im attaching a graphic of what I measured with the mic placed about 40cm away, running only one of the pair for the measurement. 1. What is the time window of your measurement? 2. Did you look at an ETC or Log Impulse Squared response, identify early reflections, and then take steps to exclude them from your measurement? 3. What is the make and model of microphone you used? 4. Did you do a loopback test to verify the calibration of your measurement system? This doesnt look flat to me, but then I probably dont know how to really read a measurement like this. The data may or may not be meaningful. My money says it is not. It doesnt look flat. But they sound good. 1. The response you measured, which includes an unknown contribution from early reflections in the local acoustic environment, is not the response your ear-brain is processing. 2. The response at your ears in a normal listening position is not the same as it is in the position in which you placed the test mic. 3. Some part of your test system is out of calibration. 4. Over a period of years, you've calibrated your hearing preferences for artificially-hyped lows and highs. This is an extremely common condition. So it got me thinking about why flat is the goal. Flat direct field amplitude response is just one of many essential goals in designing an optimal loudspeaker. By itself, achieving that one goal does not guarantee good overal sonic behavior. Failure too achieve that goal, however, does guarantee a poorly-behaved design. "Most PAs arent set up to be flat" because most sound guys are incompetent and/or are stuck with inferior equipment. If you're talking about the appearance of the graphic equalizer faders, here's what you're missing: that is not the response of the system. Yes, but you're not lacking for company. Does flat sound great to everybody but me? Odds are you've never heard "flat." Or am I measuring wrong or interpreting the measurement wrong? There are two types of people in the world: those who insist on categorizing everyone else and those who understand how foolish that practice is. Welcome to my group then Jay. Thinking about it a little more perhaps I should have said 3 groups and included snakeoil salesmen (though that was kinda implied)? "People" have a hard time with this concept because we're dense. Fine...let's just assume my measurements are all crap and mean nothing. Let me put it this way, then: in a perfect world, I'd be using the same PA and the same room for every show, as well as for tweaking the presets. I could tweak my modeller so that everything sounds dandy through that very PA with all channel controls set flat. Since that doesn't work (I can't play in the same venue all the time or through the same PA, control number of people or RH or temperature, etc.) I have to make a choice as to what system I'm going to use to tweak my presets before I do the show. Should that system be as close to flat as possible, or as close in resemblance to the PA that I'll be working with as possible? Another way to think about it is this: if my ears tell me music sounds good through both my monitors and through the mains, and that the music sounds pretty much the same through each, then I might assume that my modeller will also sound the same, i.e. it will translate well from one to the other. But if what I have to tweak on is flat and the PA isn't, then I would pretty much expect them not to sound the same at all. So is the goal for a modeller speaker perfection (flat) or practicality (close to what the audience hears through the PA)? Most people when hearing a speaker with a truly flat response would consider it to be light on bass so to most listeners flat does not equal good. But speakers used for amplifying modelers are dealing with a very different signal than what they would be fed in a home stereo application. Since you are, in this instance, providing the type of speaker response you want by using an IR, you want your monitor to reproduce that as faithfully as possible without adding additional artifacts. In other words, even if you monitor is "flat" the final speaker response is not due to the IR. ...in a perfect world, I'd be using the same PA and the same room for every show, as well as for tweaking the presets. I could tweak my modeller so that everything sounds dandy through that very PA with all channel controls set flat. The monitor you use for setting up your presets should be as flat as possible because you have no way of knowing what you are going to encounter at a gig so you can't anticipate how to adjust for it. It's best to use a flat monitor to set up your presets and then do a global EQ for the venue during soundcheck. Since that doesn't work (I can't play in the same venue all the time or through the same PA, control number of people or RH or temperature, etc.) I have to make a choice as to what system I'm going to use to tweak my presets before I do the show. You want the most revealing (i.e., neutral) system possible. Should that system be as close to flat as possible, or as close in resemblance to the PA that I'll be working with as possible? Given your premise above: "I can't play in the same venue all the time or through the same PA," this is not an available option. You need to dial in your sounds on a neutral reference system. That removes one variable that doesn't need to be there. If your presets then don't sound good to you on a given house PA, you can have the sounddroid tweak the channel EQ until you get a good match with the sound on your reference system. This is all wasted typing until you actually have the opportunity to hear a truly neutral monitor. I totally disagree: as usual, I've learned a lot from the wasted typing, and consolidated my own thoughts in the process. Now...what would you consider truly neutral (flat)? I assume my JBL LSR28p's do not qualify, not that I expect you to know or to take their specifications seriously. Since as you've pointed out much depends on the environment the speaker is in, even the CLR's aren't going to be really flat in most environments, right? But the goal is to get as close as possible to flat, because (statistically) this configuration stands the best chance of translating to the widest variety of other systems? Now...what would you consider truly neutral (flat)? I assume my JBL LSR28p's do not qualify, not that I expect you to know or to take their specifications seriously. Apparently you do believe their specifications. Given that, which would you consider more accurate, the measured response they publish for the speaker - which is quite flat - or the data you acquired? If it is their data, then it follows - since you have said the speaker sounds "good" to you - that flat direct field response does sound good. You are simply not equipped to measure direct field response. The response your hearing processes is not automatically the response you measure. In case this is still being missed, knowing which response to make "flat" is critical to the process. Their direct field response will be flat in any environment. If a speaker is capable of accurately reproducing an electrical input as sound, then by definition its direct field amplitude response is flat.
. Since as you've pointed out much depends on the environment the speaker is in, even the CLR's aren't going to be really flat in most environments, right? But the goal is to get as close as possible to flat, because (statistically) this configuration stands the best chance of translating to the widest variety of other systems? The tonal balance of the CLR will vary less than that of most systems from one venue to another. Note that the sound we hear is usually made up of two components (yes, I'm oversimplifying): The direct sound, and the reflections. The direct sound from a system doesn't change from room to room, but the reflected sound does. But if that which ends up as reflected sound at least starts out with virtually the same spectral balance as the direct sound, we are one step closer to having consisent sound in different environments. For instance, an acoustic guitar's sound may change from one environment to another, but it's not going to turn to crap, and part of the reason is, its off-axis sound (the primary contributor to the reflected sound in the room) is a lot like it's on-axis (or first arrival) sound. So whether we get a little reflected sound, a lot of reflected sound, or none at all, the native sound of the acoustic guitar comes through. I'm not saying the acoustic guitar's sound isn't changed by the environment, only that it isn't ruined by the environment - which is not necessarily the case for a speaker system. So back to the CLR: Its off-axis sound is going to be very similar to its on-axis sound, so we eliminate the likelihood of the tonal balance in the midrange and treble region being significantly altered by the presence or absence of reflections. Of course boundary reinforcement will affect the low end just like any other sound source, so that aspect of the tonal balance will still be room-dependent, but it's easy to equalize. It's not good or bad by design. Assuming actual performance to design standards of being flat response... it would just remove variability of one of the aspects we face in presenting the musical experience to an audience... or ourselves. Note that the sound we hear is usually made up of two components (yes, I'm oversimplifying): The direct sound, and the reflections. It is essential to separate reflected energy into at least two categories: early energy and late energy. In the simplest terms, early energy is fused by the ear-brain into the perceived spectral character of direct sound, whereas late energy is not. But if that which ends up as reflected sound at least starts out with virtually the same spectral balance as the direct sound, we are one step closer to having consisent sound in different environments. Early reflections alter the perceived tonal balance, even if their spectrum perfectly matches that of the first arrival. Because the ear-brain fuses these reflections with the direct sound, the resulting interference (aka "comb filtering") is perceived as affecting coloration. There is no exact dividing line between early and late energy. It is reliably the case that reflections within 10ms of the first arrival are fused with direct sound by the ear-brain and will therefore affect coloration. Those that occur between 15 and 20ms after direct are not perceived as separate events (i.e., "echos") but they are processed by human neurology separately from the direct sound. They can actually improve localization and/or articulation (precedence, or "Haas," effect). Reflections that approach 50ms after direct are clearly identifiable as separate events, and energy that arrives between 50 and 150ms after direct is actively destructive to articulation and intelligilibity. Diffuse energy arriving after 150ms is part of the reverberant "tail" and can be desirable in that it helps create an "envelopment" effect. That's one piece of the puzzle. The other is that the radiation pattern is well-controlled (IOW, relatively little energy is radiated outside the pattern), which minimizes the magnitude of reflected energy, especially of early reflections. Of course boundary reinforcement will affect the low end just like any other sound source, so that aspect of the tonal balance will still be room-dependent, but it's easy to equalize. Agreed. The only "room EQ" that stands a chance of being effective can be done entirely with a low-frequency shelving filter. Apparently you do believe their specifications. Given that, which would you consider more accurate, the measured response they publish for the speaker - which is quite flat - or the data you acquired? No, Jay, I never said that. I tend to disbelieve almost any spec anymore published by any manufacturer. Heck, you're an avid proponent of that skepticism, too, from what I can tell. I was simply asking whether you thought these speakers in a decent listening environment constituted a reasonably neutral speaker on which to tweak my sounds. In answer to your previous questions about how I measured what you saw, I used the Behringer ECM8000 "measurement" mic I mentioned, plus the calibration file I mentioned, plus the Room EQ Wizard software I mentioned. Four sine wave sweeps, 20-20kHz, averaged. Each sweep took on the order of 3-4 seconds. Thanks again for taking the time to educate.